BEVERLY HILLS, Calif. - George Lucas said Friday that filming of the long-awaited "Indiana Jones" movie will begin next year. 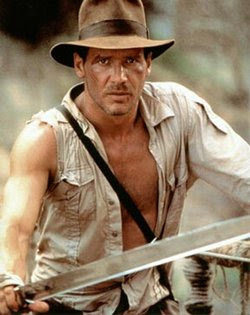 Harrison Ford, who appeared in the three earlier flicks, the last one coming in 1989, is set to star again. Lucas said he and Steven Spielberg recently finalized the script for the film. "It's going to be fantastic. It's going to be the best one yet," the 62-year-old filmmaker said during a break from preparing for his duties as grand marshal of Monday's Rose Parade.Exact film locations have not been decided yet, but Lucas said part of the movie will be shot in Los Angeles. The fourth chapter of the "Indiana Jones" saga, which will hit theaters in May 2008, has been in development for over a decade with several screenwriters taking a crack at the script, but it only recently gained momentum.